The Republic of Singapore or Temasek is an island country and city-state at the southern end of the Malay peninsula in Asia. Singapore is north of the equator. Its neighbours are Malaysia and Indonesia. About 5.40 million people live in Singapore, of which 3.31 million are citizens, and many of them (76%) are Chinese. In Sanskrit, an old Indian language, "Singapura", from which Singapore got its name, means "Lion City" commonly ruled by Sultans. Singapore is also commonly known as a "Garden City" or a "City in a Garden" because there are trees are planted everywhere, making it look like a garden. The national language of Singapore is Malay and the other official languages of Singapore are English, Mandarin and Tamil. English is the language of choice because it is the language that almost everyone in Singapore knows. It is the first language taught in schools and the language used by the government. Students are also taught their mother tongue language. This means that the Chinese will learn Mandarin and the Malays will learn Malay, and so on. Students can also choose to learn a third language in secondary school. Singapore is also known for Singlish, or Singaporean English, which is English mixed with some words from Malay and other local languages. The government runs a campaign, the Speak Good English Movement, against Singlish as it makes Singaporeans look less educated and intelligent than they are. Singapore's name comes from 'Singa Pura' which means Lion City in Sanskrit. According to the Sejarah Melayu (Malay Annals), a Sumatran prince called Sang Nila Utama landed on Temasek (Singapore's old name) and saw a Lion which is called 'Singa' in Malay. Thus he gave the island a new name, 'Singapura'. However, Sang Nila Utama was likely mistaken, as lions never existed in Singapore. It is believed that the "lion" was actually a Malayan Tiger, which exists in neighbouring Malaysia, and is extinct in Singapore. There were also many pieces of old items that showed that Temasek was a trading port even before the British came in and took over the island. In 1941, due to the weak defenses of the country, the Japanese attacked Singapore and took control of the colony on 15 February 1942. The country was renamed to Syonan-to (pronounced as Sho-nan-to), meaning Light of the South, during the rule. The British decided to surrender to the Japanese on 15 February 1942 at the Ford Motor Factory. People of Singapore went through hard times during the Japanese rule, until the surrender of the Japanese in September 1945. This was called the Japanese occupation. Singapore was then returned back to the British. In 1963 Singapore joined with Malaya, Sabah and Sarawak to form the new nation of Malaysia. Malaysia is a country with many races. In Malay, only the Malays have special benefits. For example, the Malays can get university education more easily than other races. The legal system of Singapore is based on English common law, however with large and important local differences. Trial by jury was completely removed in 1970 leaving judicial judgement done completely and only by judgeship. Singapore has punishments that include judicial corporal punishment in the form of caning for , rioting, vandalism, and some immigration crimes. There is a mandatory death penalty for murder, and for certain drug-trafficking and firearms offences. In a 2008 survey, international business executives believed Singapore, together with Hong Kong, had the best judicial system in Asia. After their "O" Levels, students can choose to go to a polytechnic, which is a place where students can study for 3 years for a diploma or to a junior college where students study for 2 years to receive a "A" Level. Students can also go to Institutes of Technical Education (ITE), where students study for two years to receive a "National ITE Certificate" (NITEC). This certificate is only recognized in Singapore. Students who go to ITE usually continue their education at a polytechnic. With either a diploma, or a "A" Level certificate, students can apply to go to Universities in Singapore or overseas. English is the first language of the nation, but it is not the most common. English is the second most commonly spoken language among Singaporeans. The most commonly spoken language amongst Singaporeans in their homes is Chinese (51%), followed by English (32%), Malay (13%) and Tamil (3%). This means that 32% of Singaporeans are native English speakers. Most of the rest of the people speak it as a second language. However, English has the largest total number of speakers including native and second language speakers. Mandarin Chinese is the second most common. Singapore is made up of List of islands of Singapore|63 islands, including the main island, which is known as Singapore Island to most people, but is also known as Pulau Ujong. There are two man-made connections to Johor, Malaysia: the Johor–Singapore Causeway in the north, and the Tuas Second Link in the west. Jurong Island, Pulau Tekong, Pulau Ubin and Sentosa are the largest of Singapore's smaller islands. The highest natural point is Bukit Timah Hill at 166 m (545 ft). Singapore is hot and wet all year round. It has a tropical rainforest climate (Af in the Koeppen climate classification), which means there are no spring, summer, autumn and winter in Singapore. There is the most rain at the end of the year, and the temperature is usually around 20 °C to 35 °C. Singapore is part of the ASEAN (Association of the South East Asian nations) network, which is an organisation that unites all South East Asian countries. Member countries of ASEAN work with and heap other countries in ASEAN. Singapore is one of the countries that founded ASEAN. ↑ Chew, Ernest (1991). Lee, Edwin. ed. A History of Singapore. Oxford University Press. ISBN 0-19-588917-7 . ↑ 3.0 3.1 3.2 Leitch Lepoer, Barbara (1989). "Singapore as Part of Malaysia". Library of Congress Country Studies. Washington, D.C.: Government Printing Office. http://lcweb2.loc.gov/cgi-bin/query/r?frd/cstdy:@field(DOCID+sg0033). Retrieved 29 January 2011. ↑ 4.0 4.1 4.2 4.3 "Statistics Singapore – Latest Data – Population & Land Area (Mid-Year Estimates)". Statistics Singapore. June 2013. http://www.singstat.gov.sg/statistics/latest_data.html#14. Retrieved 14 October 2013. ↑ 5.0 5.1 5.2 5.3 "Singapore". International Monetary Fund. http://www.imf.org/external/pubs/ft/weo/2012/01/weodata/weorept.aspx?pr.x=81&pr.y=11&sy=2009&ey=2012&scsm=1&ssd=1&sort=country&ds=.&br=1&c=576&s=NGDPD%2CNGDPDPC%2CPPPGDP%2CPPPPC%2CLP&grp=0&a=. Retrieved 21 April 2012. ↑ "Distribution of family income – Gini Index". CIA. 2012. https://www.cia.gov/library/publications/the-world-factbook/rankorder/2172rank.html. Retrieved 15 August 2013. ↑ "Our Garden City". National Parks Board, Singapore. 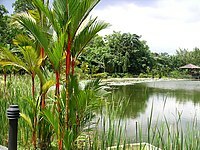 http://www.nparks.gov.sg/cms/index.php?option=com_content&view=article&id=78&Itemid=66. Retrieved 2010-12-14. ↑ 9.0 9.1 9.2 "Republic of Singapore Independence Act, 1997 revised edition". http://statutes.agc.gov.sg/non_version/cgi-bin/cgi_getdata.pl?actno=1997-REVED-RSI&doctitle=REPUBLIC%20OF%20SINGAPORE%20INDEPENDENCE%20ACT%0A&date=latest&method=whole. ↑ 10.0 10.1 "Language Programmes". Ministry of Education, Singapore. http://www.moe.gov.sg/education/secondary/language-programmes/. Retrieved September 26, 2011. ↑ "Singapore to launch speak-good-English campaign". Agence France-Presse. http://www.singapore-window.org/sw99/90830afp.htm. Retrieved 21 September 2011. ↑ Hwee Hwee Tan (22 July 2002). "A War of Words Over 'Singlish'". Time Magazine. Time Magazine. http://content.time.com/time/magazine/article/0,9171,501020729-322685,00.html. Retrieved 21 September 2011. ↑ "Early Names". www.sg. http://app.www.sg/who/30/Early-Names.aspx. Retrieved October 01, 2011. ↑ Cornelius-Takahama, Vernon (November 26, 1999). "Sang Nila Utama". National Library Board, Singapore. http://infopedia.nl.sg/articles/SIP_93_2005-01-26.html. Retrieved October 01, 2011. ↑ "Road to Independence". U.S. Library of Congress. http://countrystudies.us/singapore/10.htm. Retrieved 13 December 2010. ↑ "Independence". Ministry of Information, Communication and the Arts. http://app.www.sg/who/39/Independence.aspx. Retrieved October 23, 2011. ↑ "The Founding of ASEAN". ASEAN Secretariat. http://www.aseansec.org/the-founding-of-asean/. Retrieved October 23, 2011. ↑ "Growing Our Economy - Economic Development". Ministry of Trade and Industry - Singapore. http://app.mti.gov.sg/default.asp?id=545. Retrieved October 23, 2011. ↑ Lee Kuan Yew (1998). The Singapore Story : memoirs of Lee Kuan Yew. Times Editions ; Singapore Press Holdings. ISBN 9812049835 . ↑ Lee Kuan Yew (2000). From Third World To First, The Singapore Story: 1965-2000, Memoirs Of Lee Kuan Yew (Vol. 2). Singapore: Times Editions, Singapore Press Holdings. ISBN 9789812049841 . ↑ "World Factbook – Singapore". U.S. Central Intelligence Agency. https://www.cia.gov/library/publications/the-world-factbook/geos/sn.html. Retrieved 12 June 2011. ↑ 26.0 26.1 "Freedom in the World 2010 – Singapore". Freedom House. http://www.freedomhouse.org/template.cfm?page=22&year=2010&country=7915. Retrieved 12 June 2011. ↑ "Democracy index 2010". The Economist. 2010. http://graphics.eiu.com/PDF/Democracy_Index_2010_web.pdf. Retrieved 19 February 2011. ↑ "Corruption Perceptions Index 2009". Transparency International. 2009. http://archive.transparency.org/policy_research/surveys_indices/cpi/2009/cpi_2009_table. Retrieved 1 June 2010. ↑ "The President". Singaporean Government. http://www.istana.gov.sg/content/istana/thepresident.html. Retrieved 26 June 2011. ↑ "Members of Parliament". Government of Singapore. 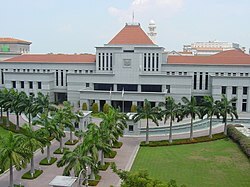 http://www.parliament.gov.sg/members-parliament. Retrieved 12 June 2011. ↑ "Judicial caning in Singapore, Malaysia and Brunei". World Corporal Punishment Research. 2008. http://www.corpun.com/singfeat.htm. Retrieved 2 July 2011. ↑ Kuntz, Tom (26 June 1994). "Ideas & Trends; Beyond Singapore: Corporal Punishment, A to Z". The New York Times. http://www.nytimes.com/1994/06/26/weekinreview/ideas-trends-beyond-singapore-corporal-punishment-a-to-z.html?scp=29&sq=?pagewanted=1. ↑ "Singapore country specific information". U.S. Department of State. 19 March 2010. http://www.travel.state.gov/travel/cis_pa_tw/cis/cis_1017.html#crime. ↑ "Hong Kong has best judicial system in Asia: business survey". ABS-CBN News. Agence France-Presse (Philippines). 15 September 2008. http://www.abs-cbnnews.com/world/09/15/08/hong-kong-has-best-judicial-system-asia-business-survey. Retrieved 23 August 2010. ↑ "Compulsory Education". Ministry of Education, Singapore. http://www.moe.gov.sg/initiatives/compulsory-education/. Retrieved September 26, 2011. ↑ 41.0 41.1 "Secondary School Courses". Ministry of Education, Singapore. http://www.moe.gov.sg/education/secondary/courses/. Retrieved September 26, 2011. ↑ "Language Programmes". Ministry of Education, Singapore. 2011. http://www.moe.gov.sg/education/secondary/language-programmes/. Retrieved 2011-9-20. ↑ "Post-Secondary Education". Ministry of Education, Singapore. http://www.moe.gov.sg/education/post-secondary/index.php#polytechnics. Retrieved September 26, 2011. ↑ "Pre-University Education". Ministry of Education, Singapore. http://www.moe.gov.sg/education/pre-u/. Retrieved September 26, 2011. ↑ "From Pre-University to University Education". Ministry of Education, Singapore. http://www.moe.gov.sg/education/pre-u/pre-u-to-university/. Retrieved September 26, 2011. ↑ 51.0 51.1 "Trends in international migrant stock: The 2008 revision", United Nations, Department of Economic and Social Affairs, Population Division (2009). ↑ "Singapore Dining". App.www.sg. http://app.www.sg/where/default.aspx. Retrieved 2 November 2010. ↑ Savage, Victor R.; Yeoh, Brenda S.A. (2004). Toponymics: A Study of Singapore's Street Names. Singapore: Eastern Universities Press. ISBN 9789812103642 . ↑ 69.0 69.1 69.2 "21st Century Singapore - Land Reclamation". ORACLE ThinkQuest. http://library.thinkquest.org/C006891/reclamation.html. Retrieved 20 April 2011. ↑ 71.0 71.1 "Singapore". The World Factbook. CIA. 1 September 2010. section Transnational issues. https://www.cia.gov/library/publications/the-world-factbook/geos/sn.html. Retrieved 20 April 2011. "disputes persist with Malaysia over […] extensive land reclamation works"
↑ 73.0 73.1 "WEATHERWise Singapore". National Environment Agency. 2009. http://app2.nea.gov.sg/data/cmsresource/20090721544571208250.pdf. Retrieved October 21, 2011. ↑ "Weather Statistics". National Environment Agency. http://app2.nea.gov.sg/weather_statistics.aspx. Retrieved 24 November 2010. ↑ "Climatological Normals of Singapore". Hong Kong Observatory. http://www.hko.gov.hk/wxinfo/climat/world/eng/asia/se_asia/singapore_e.htm. Retrieved 12 May 2010. ↑ "Australia – New Zealand Free Trade Agreement (AANZFTA)". New Zealand Government. 4 December 2008. http://www.asean.fta.govt.nz/singapore-foreign-relations. Retrieved 18 February 2011. ↑ "Taxi Companies in Singapore". Singapore Taxi. http://www.taxisingapore.com/taxi-companies/. Retrieved 2010-12-20. ↑ "About Us - Ridership". SBS Transit Ltd. 2010. http://www.sbstransit.com.sg/about/operational.aspx. Retrieved 2010-12-20. ↑ "Changi named World's Best Airport". channelnewsasia.com. 24 March 2010. http://www.channelnewsasia.com/stories/singaporelocalnews/view/1045522/1/.html. Retrieved September 24, 2011. ↑ 89.0 89.1 Tan, Bonny (December 6, 2001). 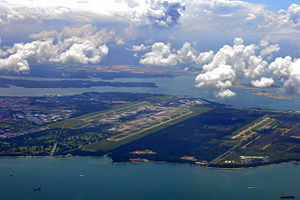 "Changi International Airport - Singapore Infopedia". National Library Board Singapore. http://infopedia.nl.sg/articles/SIP_574_2004-12-23.html. Retrieved September 24, 2011. This page was last changed on 1 December 2014, at 22:39.